Documenting the migration crisis in northern Africa. This project examines border dynamics and the resulting migration crisis in the city of Melilla, a Spanish enclave in northern Africa, and its neighboring Morocco. It was done with support of the Heinrich Böll Foundation’s fellowship program and published by Univision (in Spanish) and The Atlantic’s City Lab (in English). The fence emerges from the ground like a metal snake zigzagging through the arid African hills, hidden behind barbed wire and watchtowers. On one side of the fence is Morocco; on the other is Spain. For the thousands of immigrants who dream of crossing it, this fence is a door to the European Union. Accordingly, Melilla is a walled and fortified city: Its 4.5 square miles are enclosed by a perimeter of 18-foot-high fencing, three layers deep. First erected in 1998, the barrier has been enhanced with motion detection devices, watchtowers, and razor-sharp concertina wire. Still, both Melilla and its sister city have had their border fences stormed periodically by large groups of migrants. One of the largest took place in Ceuta in July, when nearly 800 people climbed the fence and jumped into the city. Thousands of Moroccan “carriers” (‘porteadores’ in Spanish) wait for Spain to open the border of Barrio Chino. Among E.U. nations, Spain is now receiving the largest number of migrants from outside Europe, according to the International Organization for Migration. Between January and July of this year, 18,653 immigrants have arrived by sea to some point in the Spanish territory, while Italy and Greece have received 17,838 and 14,940 respectively. 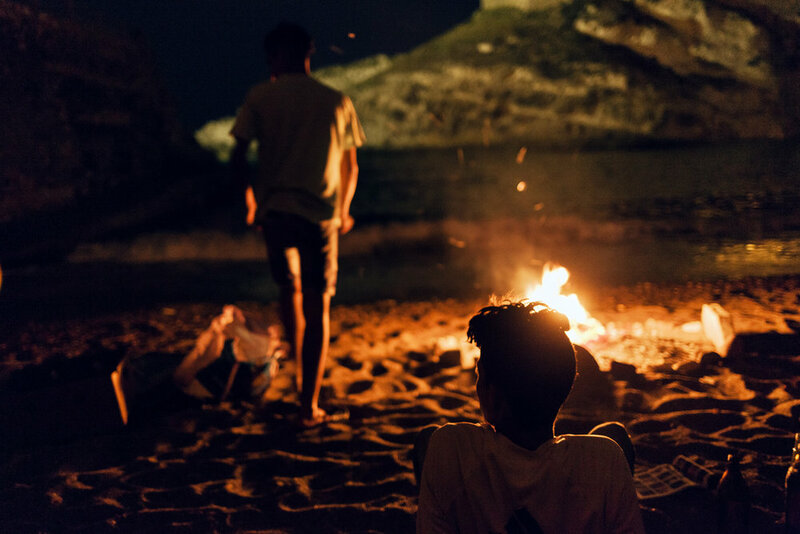 Boats and improvised rafts full of African migrants regularly land on Andalusian beaches; their numbers have doubled since 2017. One recent video that made international headlines showed a rubber boat filled with more than 50 Moroccan immigrants, including several children, landing on Spain’s southern coast as startled beachgoers watched. Incidents like these have made Melilla a particularly tense hot spot in the relationship between the European Union and Morocco. Spain pursues a policy known as “border externalization”—it provides financial resources to Morocco to help control the waves of undocumented immigrants to the two Spanish enclaves in that country. The United States pursues a similar policy with Mexico, which has received more than $100 million from Washington to increase surveillance on the border between Mexico and Guatemala, thus acting as the first barrier to reduce the flow of Central American migrants to the United States. The flow of unaccompanied foreign minors to Melilla has been going on since the late 1990s, but has increased sharply in recent years. Between January and April of this year, Spain received 6,248 unaccompanied migrant children—more than in all of 2017—and about 1,000 of them came via Melilla. Most are from Morocco, but some are from Algeria, Ivory Coast, Guinea, Nigeria, and Cameroon. Many, like Ahmed, simply ran into Melilla, stampeding through Beni Ensar, the main border checkpoint between Melilla and Morocco. Others crossed the border hidden in secret compartments inside cars and trucks, or by swimming, or with false documentation. Relatively few succeed in climbing the fence. Upon reaching the city, these children enter the Spanish protection system. Under Spanish law, unaccompanied foreign minors can become legal residents nine months after entering state protection. But if their documentation isn’t processed in a timely fashion—which is typical—the minors can be caught in a cycle of exclusion, unable to either work or migrate to Europe. Many find themselves trapped in a bureaucratic limbo until they turn 18, when they’re expelled from the juvenile centers with their residence permits already expired or nearing expiration, without any legal representation. After that, most are swiftly deported. The heart of the migrant crisis in Melilla is far from the center of the city, perched on a remote hill near the border fence with Morocco. 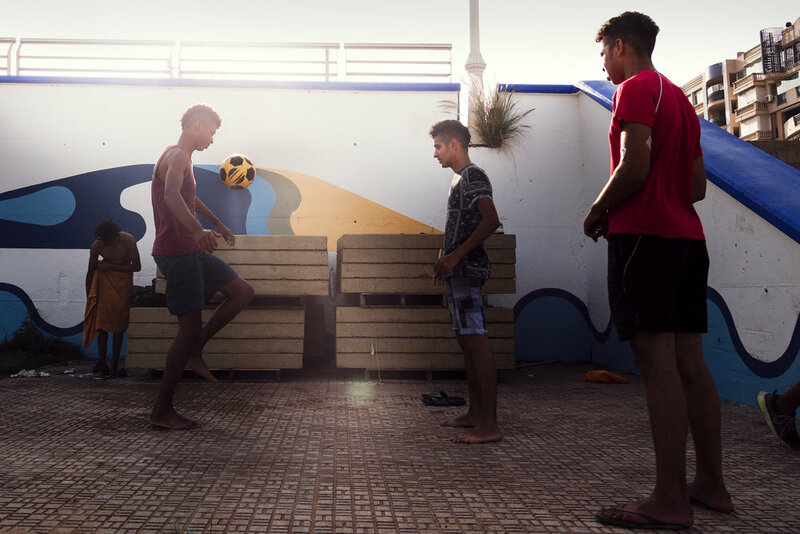 Between May and July of 2018, more than 270 children have entered La Purísima, the largest juvenile center in Melilla. It’s a former military base that was adapted to shelter migrants in the 2000s. It was designed accommodate 130 minors; it now holds more than 600. The most marginalized migrant population of Melilla consists of those migrants who have escaped or been expelled from La Purísima. Faced with the impossibility of reaching Spain by legal means, these children and adolescents try, on almost a daily basis, to smuggle themselves inside the ferries and cargo ships that link the enclave with other Spanish ports in Europe. They use an English word to describe this practice—risky—and it is an apt one. Harraga’s Rosa García has seen four children die in the attempt. “It’s sneaking into the ship without letting the dogs sniffing at you, the police catching you, or the heartbeat detector finding you,” she says. 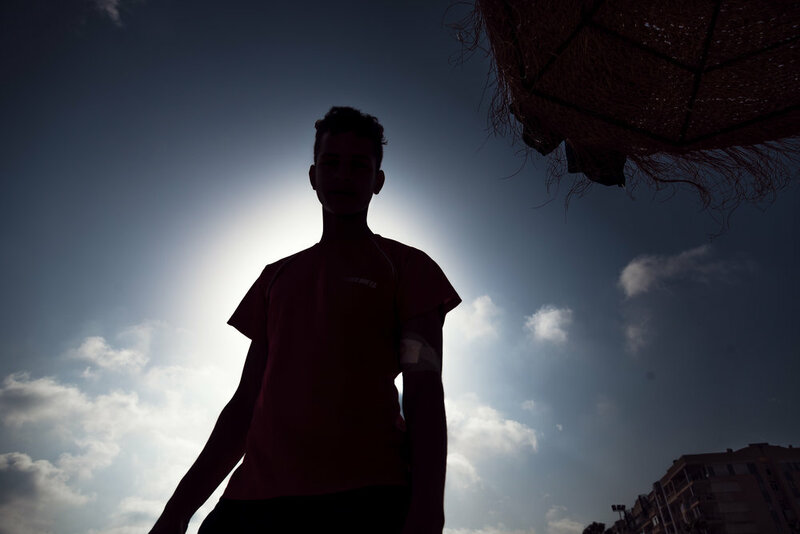 Tonight, Ahmed and six other boys gather before dawn, between midnight and four in the morning, to climb the fence that divides the breakwater from the port. The fence, which was recently reinforced with barbed wire and watchtowers, is the last one they must cross to reach Europe. Once in the port, they can try to hide beneath trucks bound for ferries, or swim to departing boats. They know the departure times of all the ferries linking Melilla with Europe. Ahmed no longer remembers how many times he has attempted this escape; the open wounds on his arm and shoulder testify to the barbed wire and beatings he’s suffered after being caught by the Civil Guard or the National Police. If they’re caught, the police send them to shelters. Often, they escape to try again. The kids all wear dark clothes. One of them does not even have shoes, only flip-flops. The seven stare at four boats in the harbor of the Old City, next to the fence that separates the boardwalk with the breakwater that leads to the port’s cargo area. One of the ships was already en route to Málaga. One by one, the boys climb the fence, avoiding the barbed wire at the top. They disappear into the dark horizon of the jetty. Ahmed continues to stare at one of the three remaining ferries, this one bound for Motril, a city an hour south of Granada. Ahmed puts his hands on top of the boardwalk’s stone, takes a deep breath and says goodbye, hopefully, for the last time.